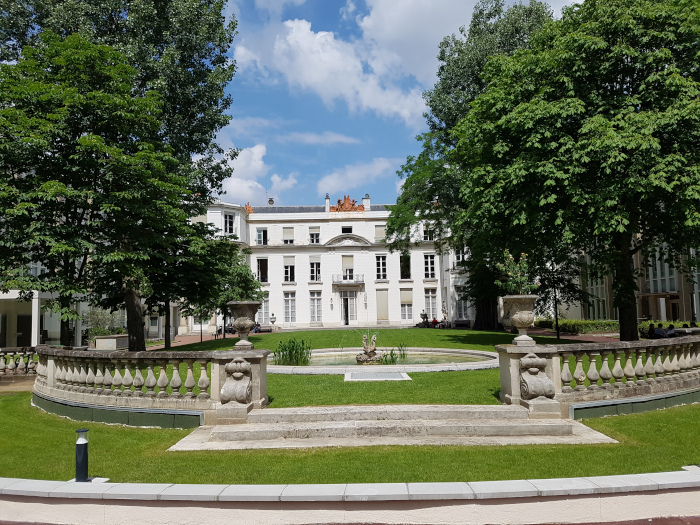 SCA 2018 will take place in the CNRS Délégation Paris Michel-Ange on the Campus Gérard mégie, grand auditorium Marie-Curie, in the 16e arrondissement of Paris. 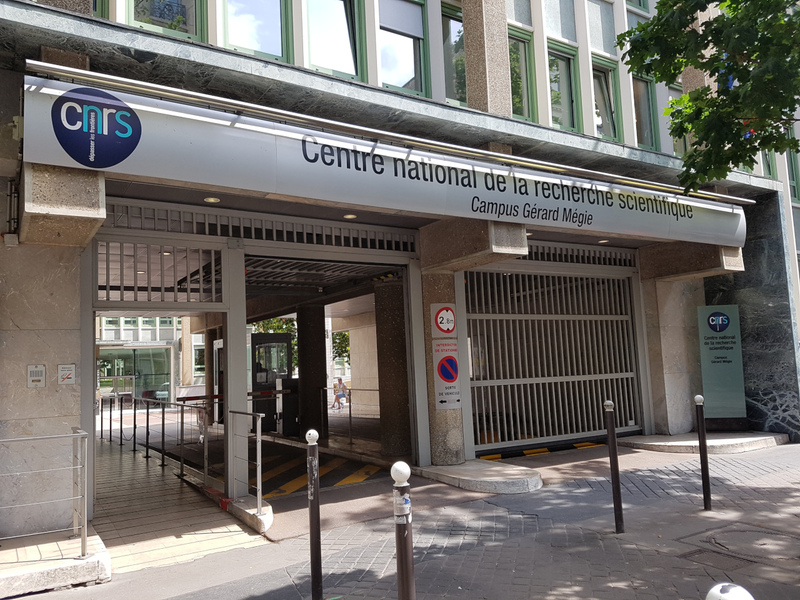 The CNRS center is conveniently placed in the center of Paris, and allows you to travel and visit the city. Metro (see map): standard subway service within the center of Paris. RER ( see map): trains serving the center of Paris, similar to subway, as well as the surrounding regional suburbs. Your trip can be conveniently scheduled using the ViaNavigo application. Be careful: Metro 10 is one-way for the station Michel-Ange Auteuil (arriving from Paris center). The closed-by station “Michel-Ange Molitor” allows you to go back to the other direction. 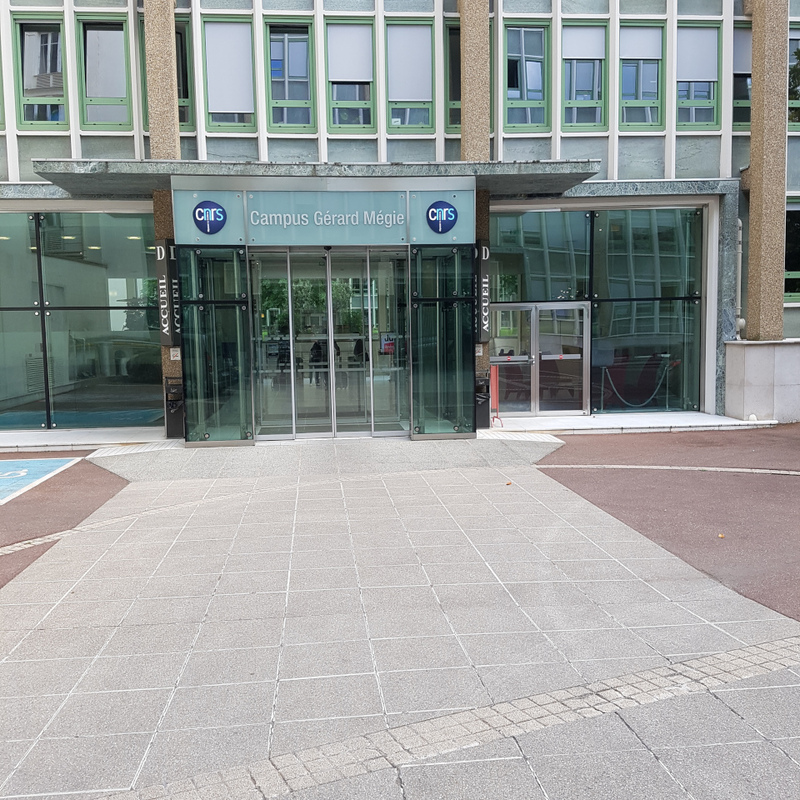 Please follow the pedestrian walkway at the entry of the CNRS building. Note that you may pass a first luggage security check at this step. Continue along the corridor to enter the main building where you will find the registration desk in the hall. There will be a security checkpoint at the entrance of the CNRS Building. All the participants will be asked to leave a valid ID or a passport at the checkpoint to receive an entrance badge. you may find bellow a list of nearby hotels from the conference place. Please, try to book your hotel early enough as the proximity of the 14th of July in Paris will attract a lot of tourists. Charles de Gaulle Airport (also known as “Roissy Airport”) is the major airport from Paris. Several public transportation are joining the terminal to the center of Paris. A convenient way to join the center of Paris is to take RER B (follow the sign “RER, Paris by train” to access to the train station from the airport terminal). The travel between the station and the center of Paris takes about 40min and cost about 12 euros. Other bus lines (Roissybus, Bus Direct), may allow you to directly acceed to other Paris central points such as Opéra, Eiffel tower, Montparnasse. Note that you may schedule your trip using ViaNavigo application. Orly terminal are also connected to the center of Paris by both rails and buses. See public transportation available from Orly Airport . A convenient way to join RER B line, and then the center of Paris, is to take ORLYVAL, a dedicated shuttle train connecting Orly terminal to Antony RER B station. OrlyBus is also another way to reach the RER B station Denfert-Rochereau, in the center of Paris. The travel between Orly airport and the center of Paris by public transports is about 40min and 9 euros (bus), to 14 euros (rails). Note that the Gare de Massy-TGV, 15km in the South of Paris, is also conveniently connected to RER B. Depending on your train station, you can check on the metro map, and ViaNavigo trip planning.